Over the last 15 years some new and very supportive services have developed to further help other aspects of a seniors’ life needs. 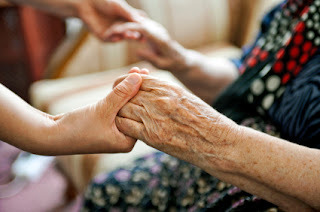 These services were created to offset the loss of adult children’s ability to do more for their aging parents as they, referred to as the ‘sandwich generation’ are being stretched to the limit with working, raising their own family, grandchildren and trying to provide care for parents. Unfortunately, the needs of aging parents can become too great for the adult child and these newly founded services fill in these gaps. Under a category of “Age-In-Place”, service companies now provide help with organizing documents, supervising bill pay, preparing documents for accountants and lawyers, assessing the home for safety and orchestrating the changes needed in a home to keep the senior safe. In addition, there are patient advocates who help navigate the medical issues of seniors. These wonderful people go with you to your Doctors, make sure that your concerns are answered, keep track of your Doctors’ charges. As many seniors know, while in the Hospital often tests are duplicated based on the lack of interaction between Doctor groups. A patient advocate streamlines this process often eliminating these unnecessary duplications and leaving the senior to focus on relaxing for a swifter and fuller recovery. The National Association of Senior Move Managers (NASMM) has over 1,000 members across the nation who help seniors prepare their homes for a move. By tracking the trend, NASMM found gaps in the age group that is moving. The 50 – 60 year olds are cashing in on their homes and choosing to downsize and move to locations that better fits their mid-life lifestyles. In discovering this interesting fact, NASMM developed an additional service calling it ‘At Home’ services, where members coordinate all the services needed by a senior while living at home. For families, At Home specialists act as a trusted liaison between the senior and their adult children. This service has brought tremendous relief to both the adult children and the seniors. Finally, Seniors have the consistent help of another Adult who they can rely on. At Home services begin with a home assessment, identifying what needs to be done in the home to make it more fitting for a senior to live safely. When looking at the home it is determined if and where grab bars are needed, if furniture is the proper height for the senior to sit and get up comfortably. Floors are carefully checked and tidied to remove objects that can obstruct a clean path that can result in a fall. Carpets are viewed for any lifting, crumpling, movement or signs of disintegration. Walls are looked at to make sure there are no signs of mold or termites. If you think this isn’t serious, there was a home inspected where the roof was about to crash due to the amount of termite damage. In the basement, where the senior could no longer get to, there was an enormous amount of black mold, which was determined as a factor for her poor health. Slight cognitive change impairs the ability to keep check books in order. Paying bills becomes challenging and time-consuming. An At Home specialist will help you pay your bills by supervising your timely and accurate payment of bills. Too often seniors overpay the same bill not realizing that the bills are simply duplicate invoices. In addition, many charities are nothing more than a scam, which can be determined by looking them up on a computer. A specialist will have a lap top or iPad with her to help make this determination. Speaking of mail, it is a bit ironic that the older you get the more mail you get. Medicare alone is relentless on how much paperwork they send. The quagmire of multiple informational sources is drowning seniors in so much paperwork that often seniors’ homes get filled up with piles from floor to ceiling of unread mail. Who can keep up? With the help of a specialist, mail can be sorted, kept or tossed according to what is needed. Organizing life at home helps a senior to live a life more focused on what they want to do. When asked what a senior would like to do once her documents were organized, she said, “go to the hair dresser”. Apparently, she was so consumed with worry over making bill payment mistakes that she wouldn’t leave her house, choosing instead to review her work several times a day. Our advice is to get help and get out and live. At Home services are privately owned and not reimbursed through Medicare. There are many resources to help you find free beneficial services. Become as educated as you can and learn what is available to you. When can you use the help of a private company? Perhaps when your family shows signs of concern or you recognize that you need more personalized help then those provided for free. If you choose to live at home for as long as you can, make sure you get the proper help to decrease your burden. When is it time to move from home? When the costs to stay at home are higher than your budget. When properly maintaining your home proves to be too difficult or challenging. When you feel alone because you are not getting out enough. When the quality of your life is slipping and you feel like you are losing control of your own destiny. When you know that your needs are greater than the services being provided to you at home. If you determine that it is time to move, choose your next living arrangement wisely. Make a list of your strengths and weaknesses. Is it just that you need a smaller place, closer to your children or would you be better off taking advantage of a CCRC, continued care retirement community? A CCRC is step living starting with Independent living apartments, where you can choose to eat with the senior community and take advantage of their activities, while maintaining your independence. When your needs increase, you have the option to move over to the Assisted Living side of the CCRC keeping you with the same population you met while living independently. If you ever require skilled nursing care, the CCRC has a skilled facility to help you best cope with your growing needs. Stylish and upscale, many seniors find that the total costs of a CCRC fall below the cost of maintaining their own home. CCRC’s provide a senior with the comfort of knowing that whatever stage they are in, there is a community of help every step of the way. Would you like to live in a Senior Hotel or Assisted Living (not associated with a CCRC), where you can go and come and eat in a dining room and have help with laundry and room service. Get help in making these decisions through free services such as A Place For Mom. There is much to choose from and more living to do. If you do decide to move and if family and friends are too busy to help you with this move, then remember that NASMM recommends Move Managers in your neighborhood who will help you plan your move, help vet vendors (even real estate agents), help stage your home for easy selling, and provide hands-on help for every aspect of the entire move process. Debbie Ginsberg is the owner of Uncluttered Domain Inc, a Senior Move Manager and an Age-In-Place specialist. Established in 2010, Debbie has customized her services according to her client’s needs. Feel free to ask Debbie questions at Debbie@UnclutteredDomain.com 855-226-7426.